Sure, it was silly stuff when we were kids – but once De La Soul sampled "Three Is The Magic Number", this record became one of the most prized in our possession! And thanks to that hip hop reintroduction, we've really fallen in love with the music again over the years – partly because the tunes are all so groovy, and partly because we've really come to know the jazz-based work of composer Bob Dorough! 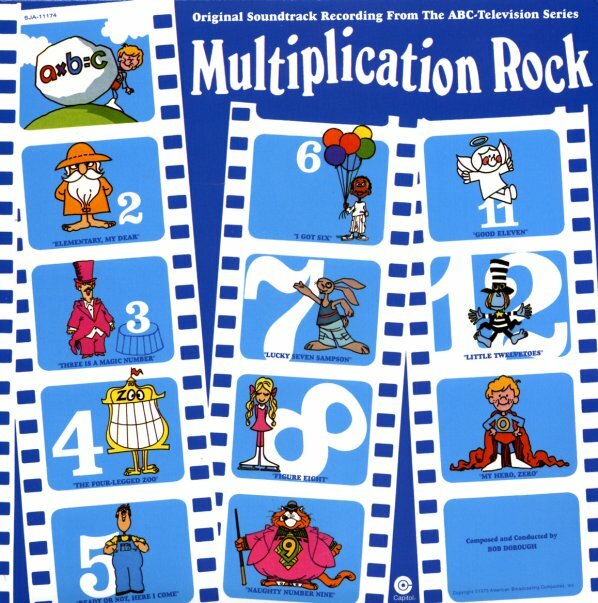 At the time of this set, Dorough was coming off some great work in the 60s – his own rare recordings, music for Spanky & Our Gang, and others – all of which seems to inform these math-based tunes written for Saturday morning TV. The tunes are all pretty darn catchy, and often quite jazzy – and instrumentation often features some great electric piano nestled in alongside the vocals. Dorough sings the lion's share of the work for this album – although Grady Tate sings on two numbers, and Blossom Dearie on one more. Titles include the amazing "Three Is A Magic Number" – plus "Lucky Seven Sampson", "Little Twelve Toes", "Ready Or Not Here I Come", "I Got Six", "Naughty Number Nine", "Figure Eight", and "The Four Legged Zoo". © 1996-2019, Dusty Groove, Inc.